You already use FOMO (or the fear of missing out) on your WordPress site, whether you know it or not. Ever run a limited time sale? Advertised low inventory, or shown a countdown timer? That’s FOMO. You can leverage it even more if you know how, to increase sign ups and boost sales. To understand FOMO, all you have to do is look at social media. Do you ever scroll through your timeline and feel like everyone else is having more fun than you? 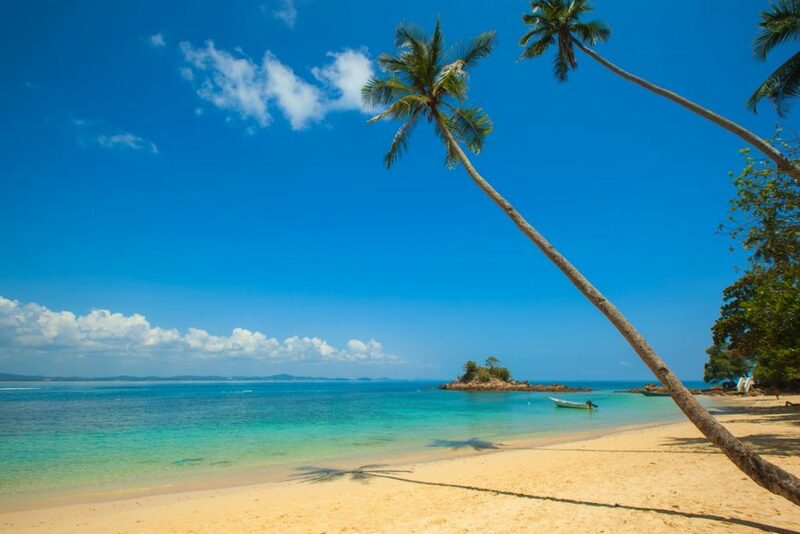 It makes you think, why am I working while they are at the beach? I want to do that! Some of what you feel is FOMO, or the fear of missing out. You are worried that everyone else is living their lives the way you should be, and you are missing the boat. FOMO is a concept as old as civilization, and it motivates each of us to our core. It doesn’t just exist on social media, it also happens when we are making purchase decisions. We are social creatures, we all want to know what everyone else is doing. We tend to put a lot of weight on social proof when making decisions, for better or worse. Your store can use this psychological principle to boost conversions, including increasing sales, newsletter signups, and more. There are right and wrong ways to use FOMO, if you do it wrong you could hurt your sales. Let’s look at 5 ways to use this principle to your advantage on your WordPress site. A recent trend in eCommerce is to show a popup that shows a recent customer purchase. This uses the powerful psychological principle of social proof, along with FOMO. It shows your potential customers that other people are buying, which is a great motivation for them to purchase. As the old saying goes, a crowd draws a crowd. The first time I saw this type of sales notification on someone’s site, it really caught my attention. It’s like a really quick but powerful brand testimonial, with the advantage of being ephemeral. This is strong social proof, and we are all suckers for it whether we admit it or not. Both FOMO and social proof strike chords in us that are so deep rooted that we don’t even realize when it happens. To show sales notifications, aka WordPress FOMO, there are a couple of options. 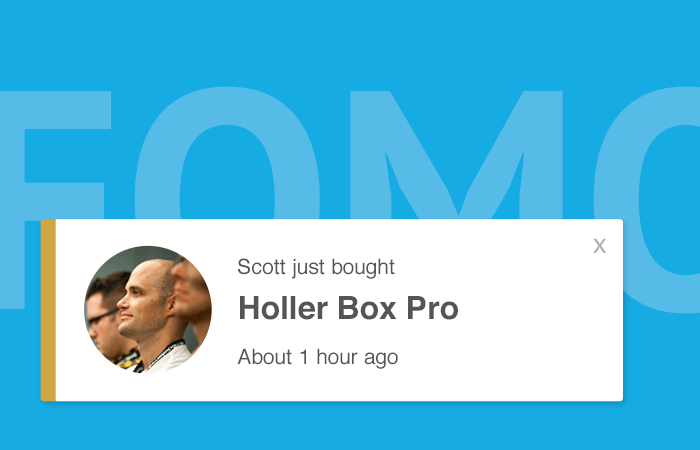 Holler Box has a FOMO popup add-on that integrates with WooCommerce, Easy Digital Downloads, GiveWP, PMP, MemberPress, and more. There is a SaaS app called Fomo that integrates with WooCommerce, MailChimp, and many other services. Showing off your current subscriber count can increase conversions. Easy Digital Downloads and many other sites advertise the number of signups for their newsletter to get others to join. It offers legitimacy and builds trust, and also makes you wonder if you’re missing out by not being on the list. One of my favorite examples is the Post Status Club. 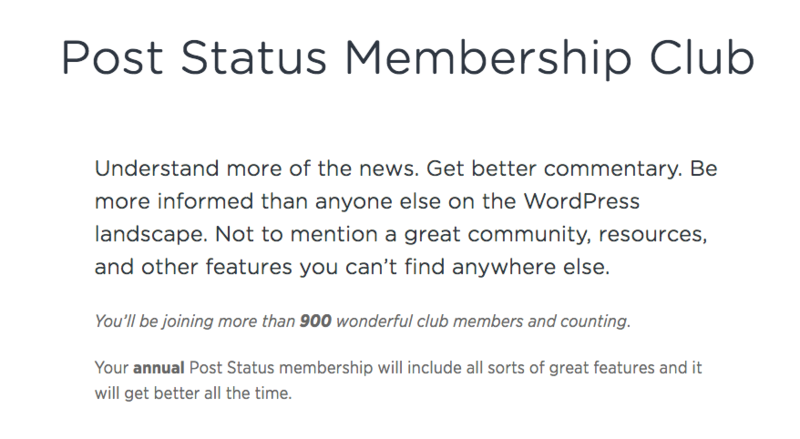 It’s a paid group, and if you are in the WordPress community, a lot of your friends are already a part of it. It makes you wonder what type of news you are missing out on if you don’t sign up. Sumo.com uses the same tactic to show that they have lots of successful customers signed up for their service. Another way to show off your subscriber count is with popup notifications, similar to the sales notifications. If your goal is to get more signups to your email list, you can show recent signups in a popup. This is a better strategy if you don’t have a huge subscriber list that you can brag about. You can still show social proof and create FOMO by adding this popup that shows your latest list subscriber. You can use one of the tools mentioned in #1 above to add this to your site. Don’t overuse the FOMO popups. I’ve seen sites that show a popup for 5 different events in a couple minutes. That’s too much. Show them once or twice per visitor, or it loses it’s effect. Don’t show full names. I’ve seen full names along with location in a FOMO popup, this is a violation of privacy. Consider your audience. As you saw earlier in the article, developers don’t trust these popups. If you audience is developers, you might not want to use them. Limiting the time availability or quantity of an item is a great way to boost conversions. Amazon does this really well. If you go to their “deal of the day”, you’ll see a countdown timer for when the deal ends, along with the percentage of people who have claimed it. This is FOMO at it’s finest. It shows that other people are buying, and creates a sense of urgency. This principle can also be applied to your email sign up form. Neil Patel uses evergreen webinars to collect leads. 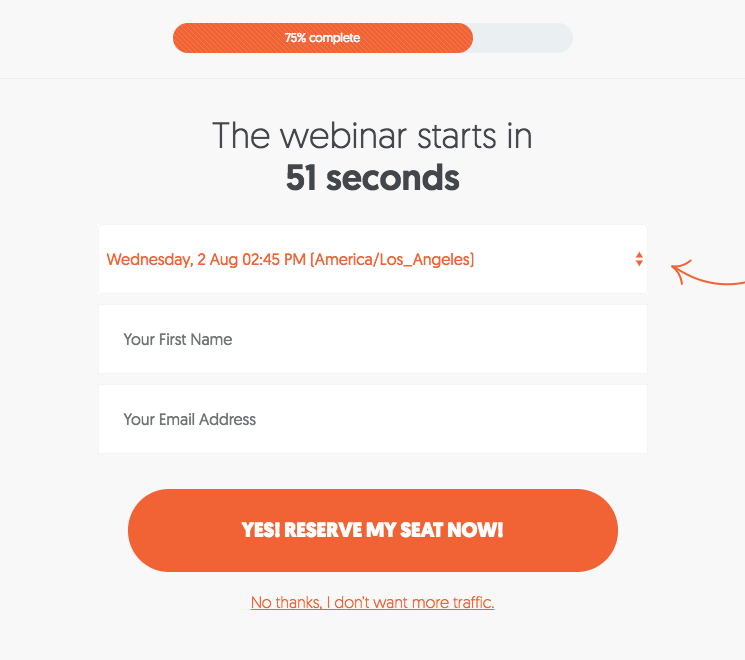 His opt-in form has a countdown timer to the next webinar. He uses automated software that shows a webinar every 15 minutes or so, it’s not actually live. I recently reserved a hotel room, and when I went to checkout, there was a 15 minute timer. When the timer expired, the room would be not be reserved anymore. You can also see this when purchasing concert or airline tickets. Discounts are one of the easiest ways to boost sales over the short term. When done strategically, discounts don’t have to hurt your brand, and can increase revenue sustainably. A perfect example of this is a 24 hour sale, which causes customers to make a fast decision. They are motivated by fear of missing out on the discount, which can help you convert customers that would otherwise have waited forever and never purchased. Limited time or supply works great if it’s genuine, but people will know if you are faking it. I’ve visited sites that have the same limited time discount every time I visit the site. I’ve also been looking at the same website while on the phone with a friend, and my screen showed a discount while his didn’t. The site was obviously using cookies to show different things to different people. It’s not bad to a/b test or show different things to different people, but just know that you aren’t fooling anyone. Your customers are smart, and they will figure you out eventually. 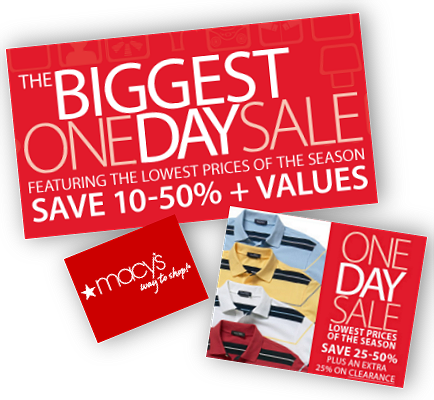 Ask yourself, are artificial countdown timers and discounts worth it in the long run? WooCommerce has built-in inventory settings to show when your stock is low. Make sure you utilize that to create FOMO. To add a countdown timer to your WordPress site, you could use a plugin like this, and add the shortcode to your signup form or product pages. There aren’t any plugins that I could find that work exactly like the examples above, so it might take some custom coding. You can also try the Finale Countdown Timer for WooCommerce for your one day sale. Recommending related products or cross sells is useful for your customers. Many online stores do this, but Walmart takes it one step further. 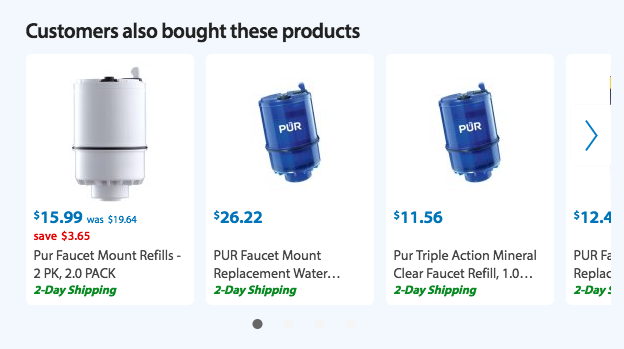 Instead of using the phrase “Related products” or “You may be interested in” as I see in many WordPress stores, they say “Customers also bought.” This is a subtle change, but it adds a social element. Indicating that other customers are interested in these products and buying them triggers the psychology of the fear of missing out. A quick win for your store could be to change your cross selling terminology to be more like Walmart. WooCommerce offers built-in support for cross sells and upsells, or you can use a custom related products plugin. For more information, check out this article on cross sells and upsells. 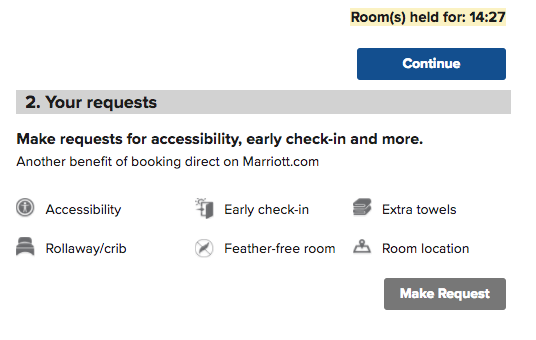 Booking sites use FOMO to their advantage by showing how many people are viewing the deal you are looking at. This creates a sense of urgency, because you feel like someone else might steal it away if you wait too long. Zillow does something similar, by showing how many people have saved a home you are looking at. Real estate can get competitive, so if you are interested in a home, and you see that a lot of others are interested as well, you start to get the fear of missing out. It encourages you to call your realtor and make an offer as soon as possible! WooCommerce doesn’t have a straight-forward way to achieve this functionality, but with a few plugins and some creativity you can get the desired effect. 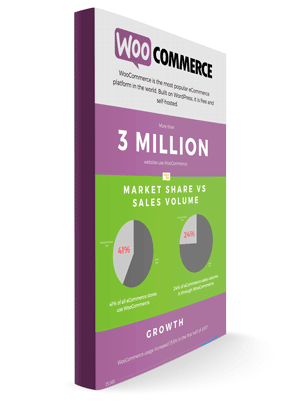 The WooCommerce Sales Triggers plugin has many of the features mentioned in this article. 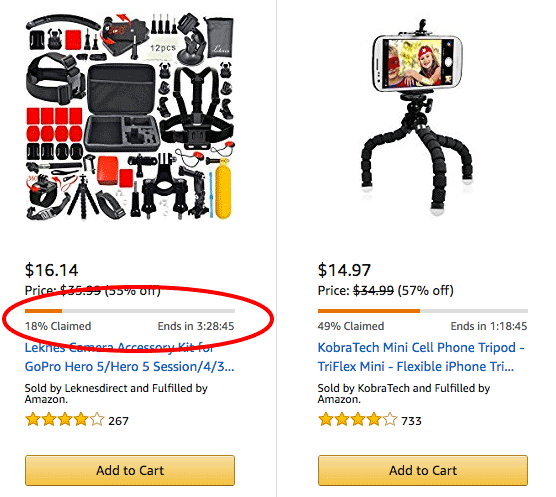 Show # of products sold – this article describes how to show how many products were sold on a product page. Show views – The page views count plugin allows you to show how many times a post has been viewed, total and per day. You could add this to your product pages. The fear of missing out is a huge motivator for human behavior, and whether you realize it or not you are already using it on your store. Being aware of FOMO and using it to your advantage can boost your conversions. Some sites overuse this principle, and may hurt their customer relationships over the long term. What uses of FOMO do you use that I missed? Let me know in the comments.